I've been a busy bee, These have been in the works for awhile and I finally got them done. 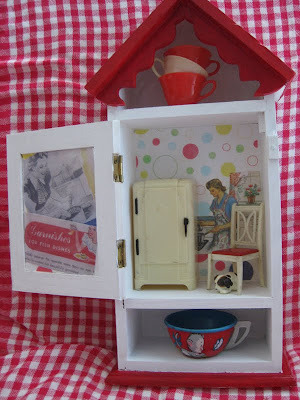 Many of you have expressed interest in my kitchen shadow box, so I've made a mini box. 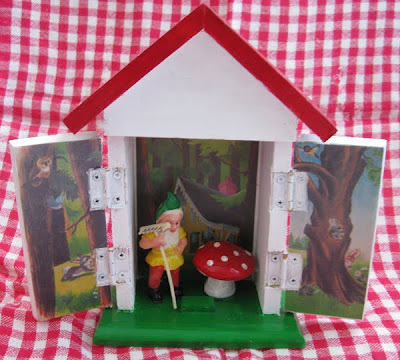 This one has vintage gnome and mushroom. The last one , I found a cuckoo clock that was broken and took the whole thing apart and put it retrofitted it to the shadow box. This reminds me of Ocktoberfest! These will be in my Etsy shop finally! More things to do and cross off my list. Fall just makes me want to organize and get things in order. Maybe the holidays looming ahead. Better get busy! Leslie..I love these... how creative you are!! I hope they sale for you!! Thanks for catching up with me.How was the trip? How are you really doing? Oh Leslie! These are the cutest EVER! I am so in love with them. You are so clever (and multi-talented! ), I'm awestruck over your one with the cuckoo clock. Wowie! So much fun. A blogging pal asked me to make baby cards for her to give to a few friends having babies shortly, so I'm all a-flutter and a-dither over here. So stressed. Performance anxiety. Thanks so much for asking about my dad, he's doing well, picking up steam, gaining momentum. Hoping you have more fun and creative stuff to tick off on your to-do list and fewer picking up dust bunny chores! These are SO CUTE Leslie! 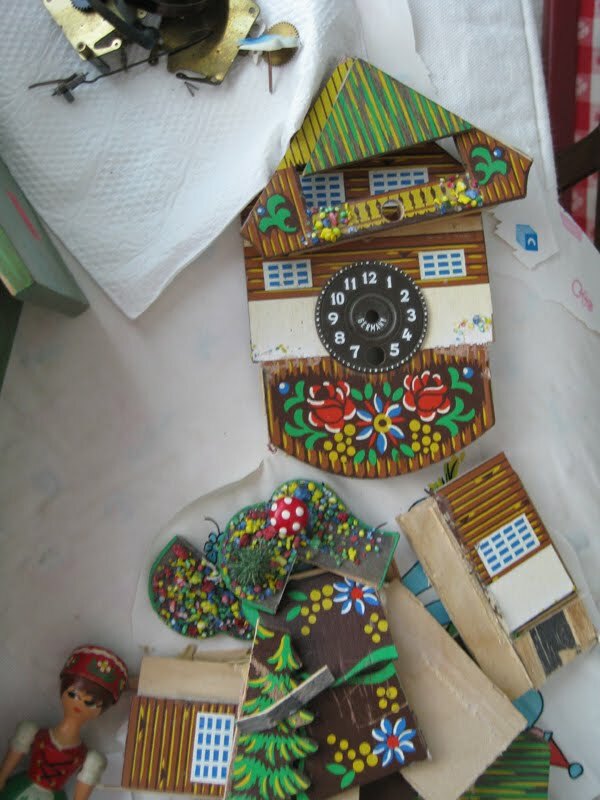 And such creativity, using that little cuckoo clock. 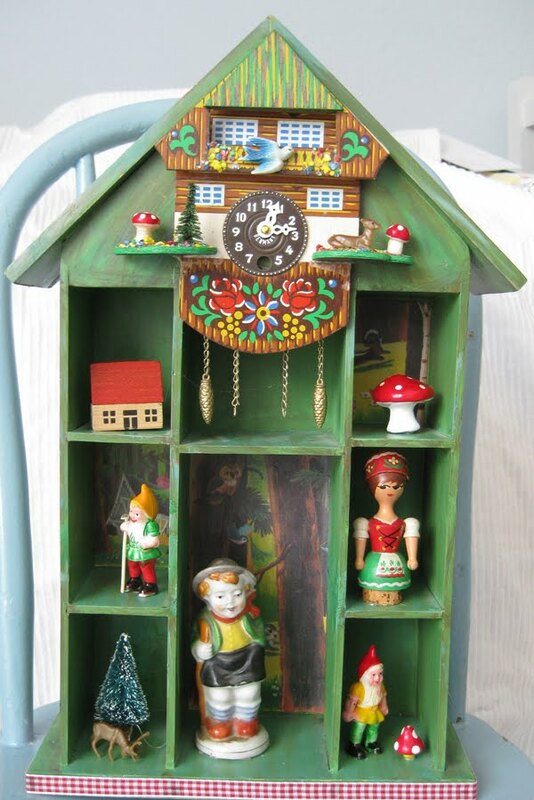 It really does look like an Oktoberfest shadowbox. I hate to say it, but I can't wait 'til I can quit tending the gardens, so that I can turn my sights to crafting! Oh Leslie...I absolutely love the little kitchen shadow box with that tiny fridge! Great job...so creative! 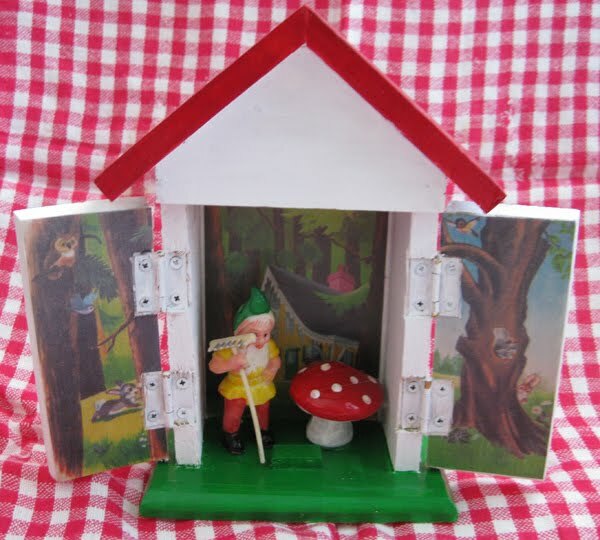 How cute your shadow boxes are! You did such a wonderful job and had such great vision. Thanks so much for sharing with us all.